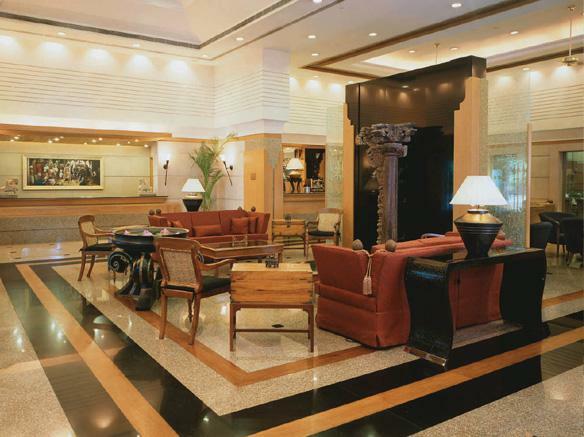 Trident Kochi is the destination for travelers who are seeking comfortable and luxury stay. 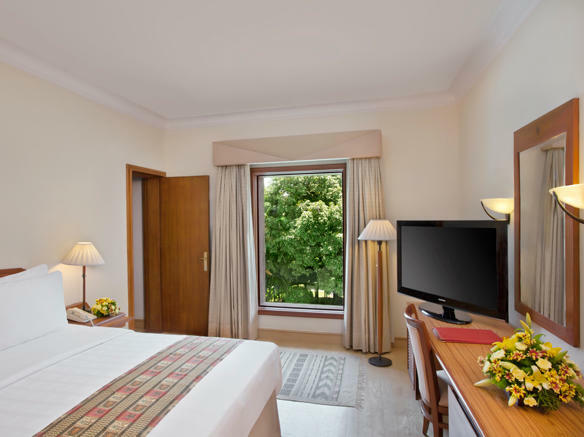 The hotel is located in close proximity to prime tourist attractions and railway station and international airport. 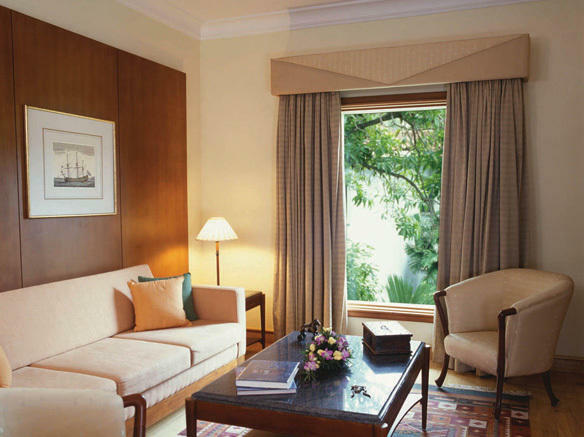 The right blend of chic interiors and classic charm add to your overall staying experience. 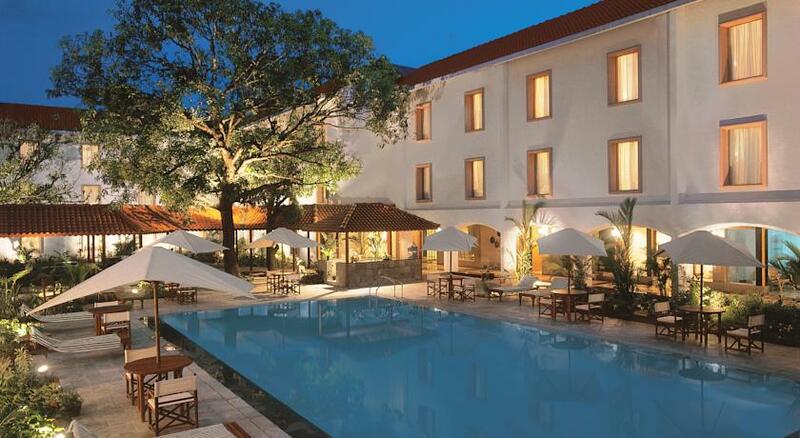 Set amidst landscaped gardens and picturesque central courtyard, the hotel offers 8 suites and 77 rooms. Each room is designed paying attention to the needs of travelers coming from all walks of life. Well furnished in muted tones and soft backdrops and sprinkled with local artifacts, the rooms offer modern comforts for travelers. 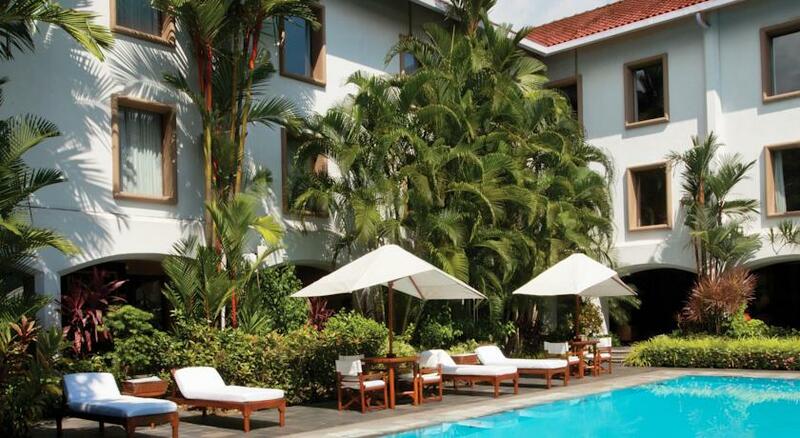 Situated on Willingdon Island, the hotel lets you make the most of your time in the city. Staying here you can have an experience that is second to none. Stay here and experience the luxury of living. 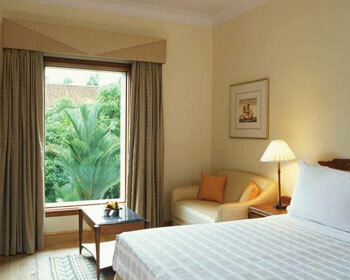 Deluxe Rooms are highly spacious offering a great view of the swimming pool or garden. These rooms are simply the right accommodation option for many travelers. Well furnished with all features and necessary amenities, these rooms are simply the perfect option for you if you are looking for comfortable stay. Attached bathrooms are equipped with facilities by Kama. A mini bar, tea and coffee maker, LCD television and electronic safe are some of the most common facilities that you will get staying here. 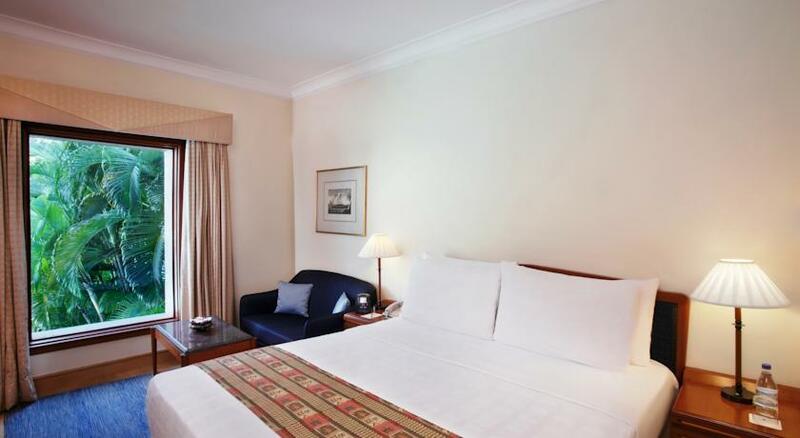 Stay in Superior Rooms and make the most of your stay here. 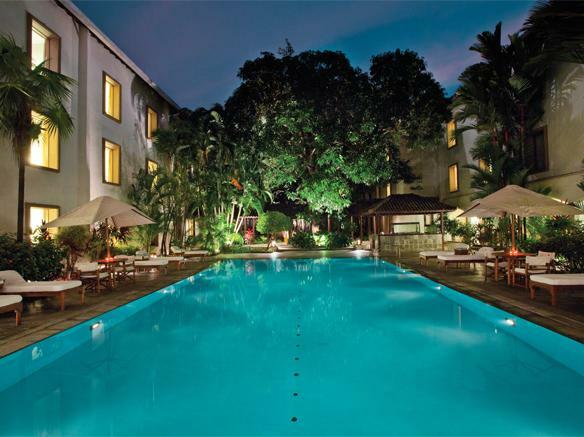 There are 56 rooms in this category each opening towards the landscaped gardens or swimming pool. 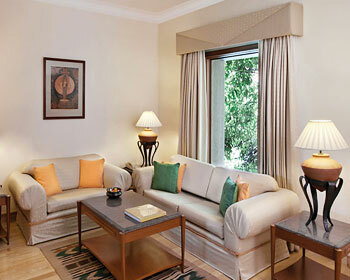 Seating area of room lets you enjoy a refreshing cup of tea in morning. Read the newspaper while enjoying coffee or tea. You can enjoy 24 hour in room menu. Some of the most common features are electronic safe, personal bar, tea or coffee maker, 24 hour room service and laundry service. These suites are situated on the top most floor of the hotel providing great view of the city, the pool and landscaped gardens. Elegantly appointed with all basic as well as contemporary facilities, these rooms make for the perfect option for those seeking luxury stay. Rollaway sofa is the perfect for children. What further enhance the decor is the soft as well as muted tones. And, when coupled with conventional artifacts, you can have better living experience. Wireless and wired internet access, safety deposit, tea and coffee maker, LCD television and 24 hour room service are some of the most common facilities you can enjoy staying here. If you are travelling with your family and looking for family suites then these are for you. 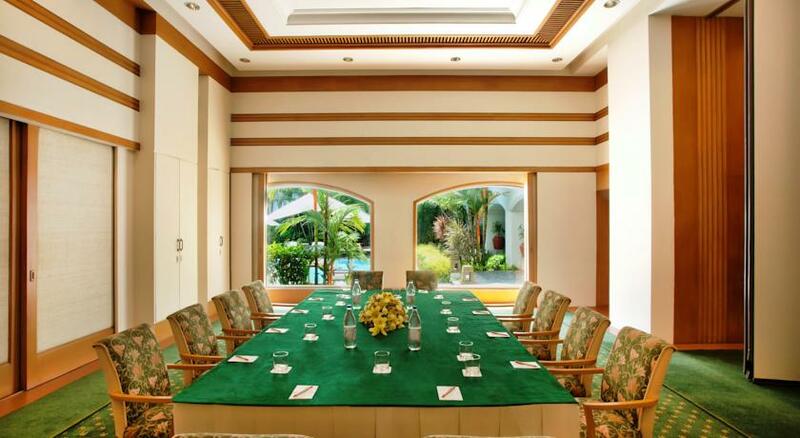 Family Suites offer panoramic view of the pool and manicured gardens. Each room under this category have a separate bedroom and well appointed dining as well as living area, thus making the ideal choice for those travelling with family. 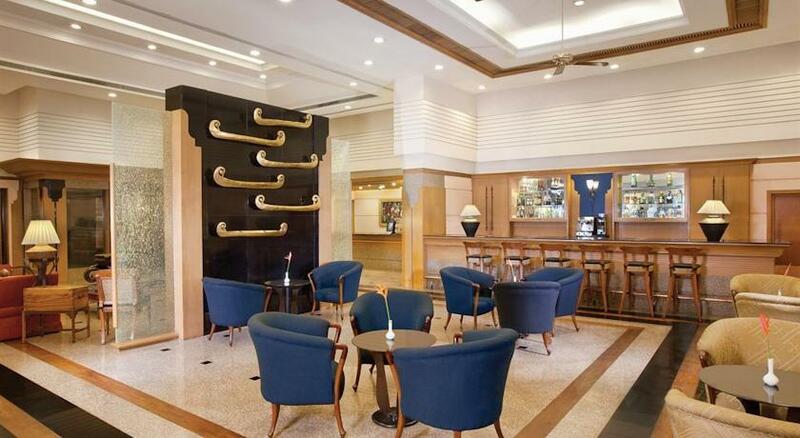 Well stock personal bar lets you enjoy drinks and unwind after a tiring day exploring the city. Common facilities that these suites offer include 24 hour room service, LCD television, direct dial dual line telephones and tea and coffee maker. 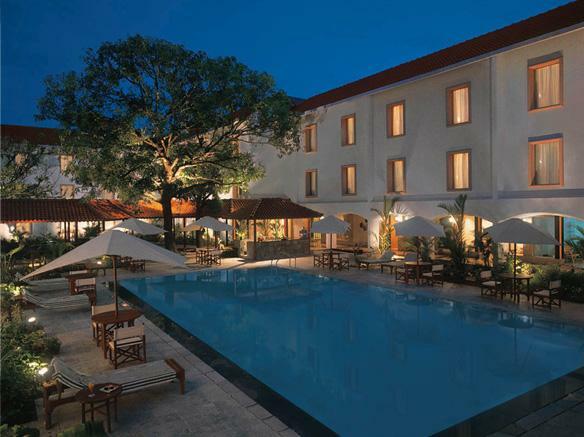 The restaurant Travancore is named after one of the oldest counties of Kerala. If you have craving for authentic local cuisine then this is the place for you. 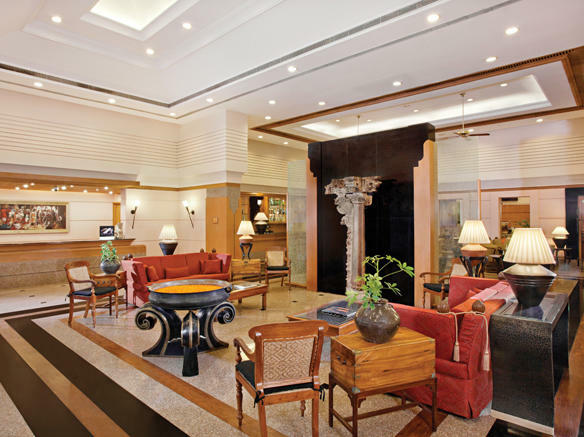 Located at lobby level, here you dig into some of the most scrumptious Indian and Continental Cuisine. You can have a great start here by relishing mouth watering and healthy breakfast served here. Travelers who have fancy for seafood can head right to the Seafood Grill and enjoy dishes prepared by expert chefs. The restaurant serves a range of sumptuous seafood dishes starting from prawns, fish and lobsters. It is the al fresco restaurant offering pleasant ambience and is accessible from the months of November to March. 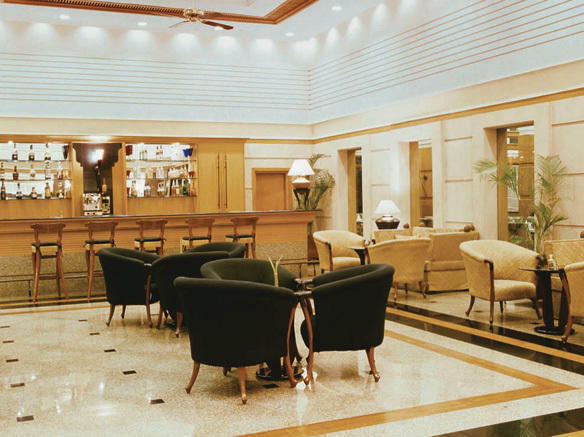 The Cochin Trader Bar is simply the right place where you can spend some quality moments with your friends. There is nothing can beat the charm and elegance of this beautiful bar. Spending evenings at leisure gives you an experience that you will cherish for many years to come. Here you will get a range of exotic wines and spirits to choose from. Our bartenders can mix for you the perfect cocktail. Immerse in the flavor of the city by selecting from a variety of light snacks as well as appetites. The Patio simply makes for the right setting for those have meetings lined up or looking for a relaxed chat with friends. Starting from light Indian curries to salads and sandwiches, you can get it all under one roof. You can savor your tangling buds with coffee and dessert. 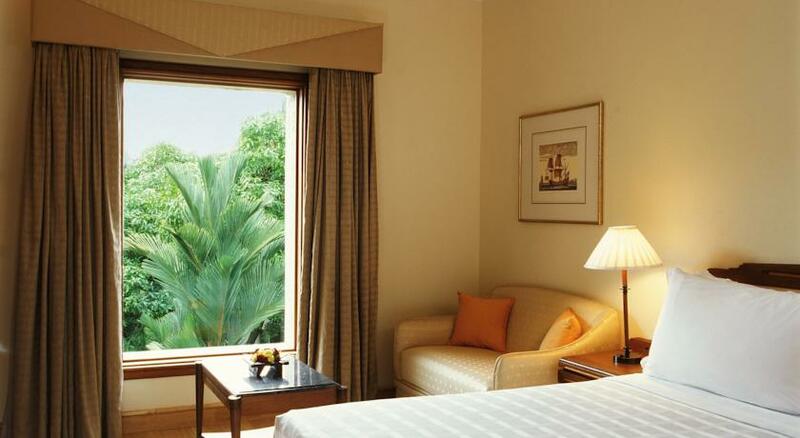 Accommodation in Deluxe Garden View room at Trident hotels in Cochin. 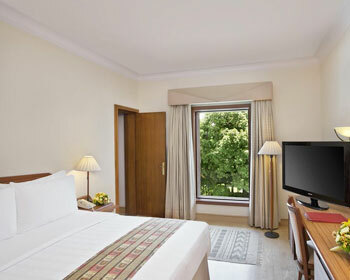 Upgrade to the next room category at Trident hotel in Cochin at a per night supplement of INR 750* (USD 10).